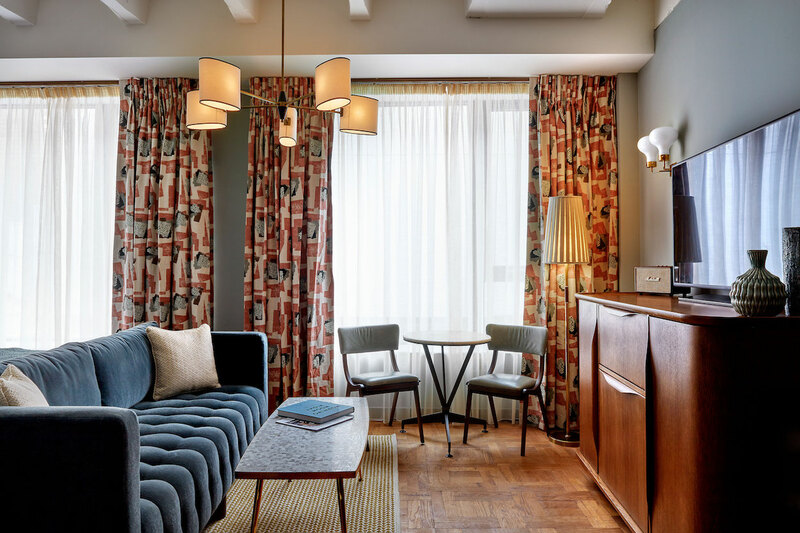 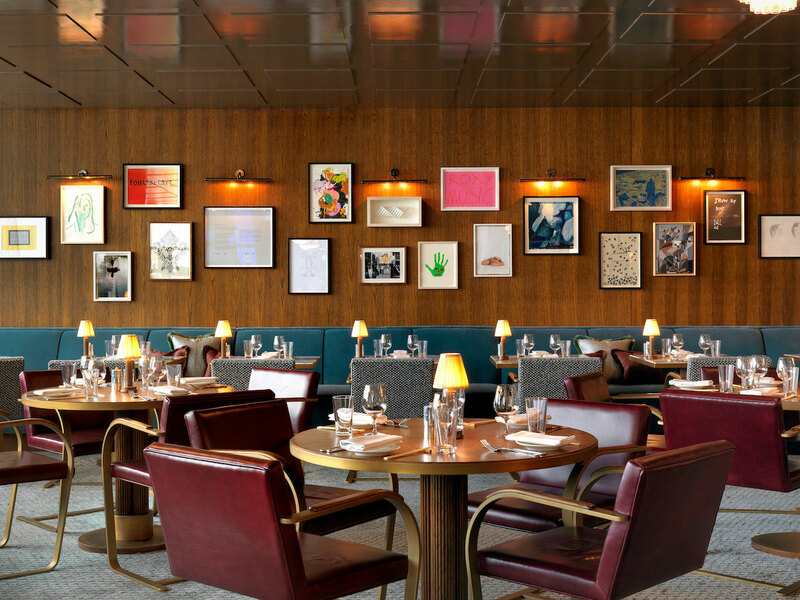 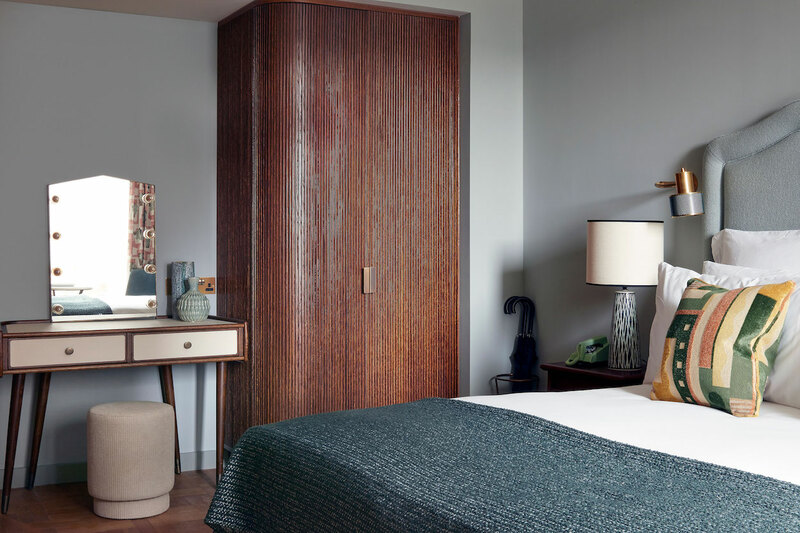 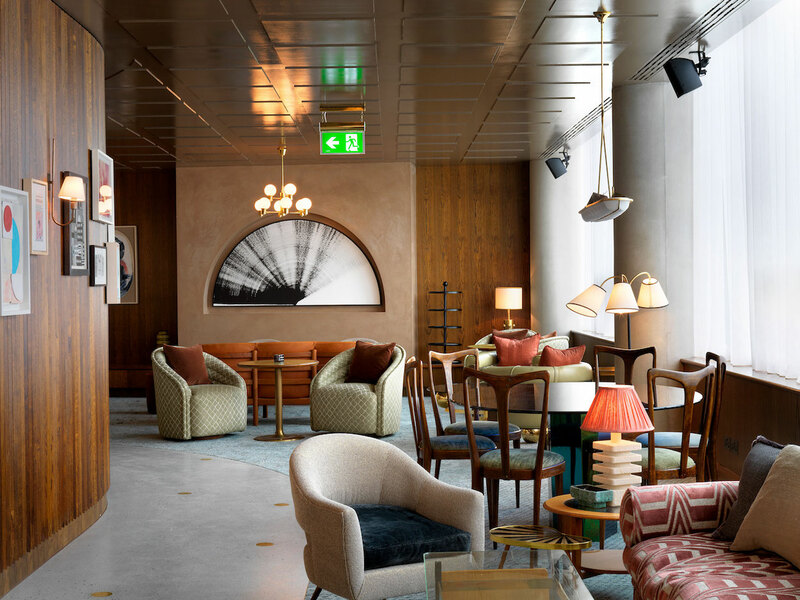 White City House pays homage to the Television Centre’s heritage with a midcentury design and references to the legendary British broadcasting network. 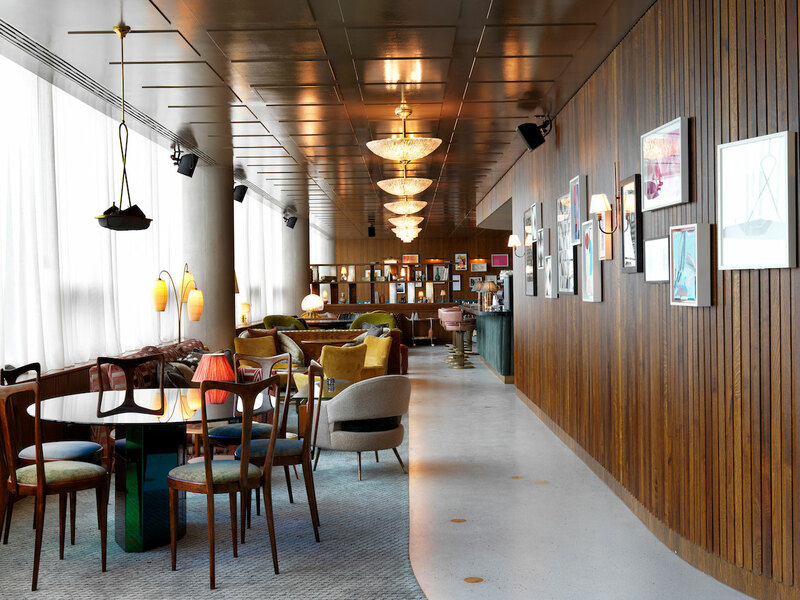 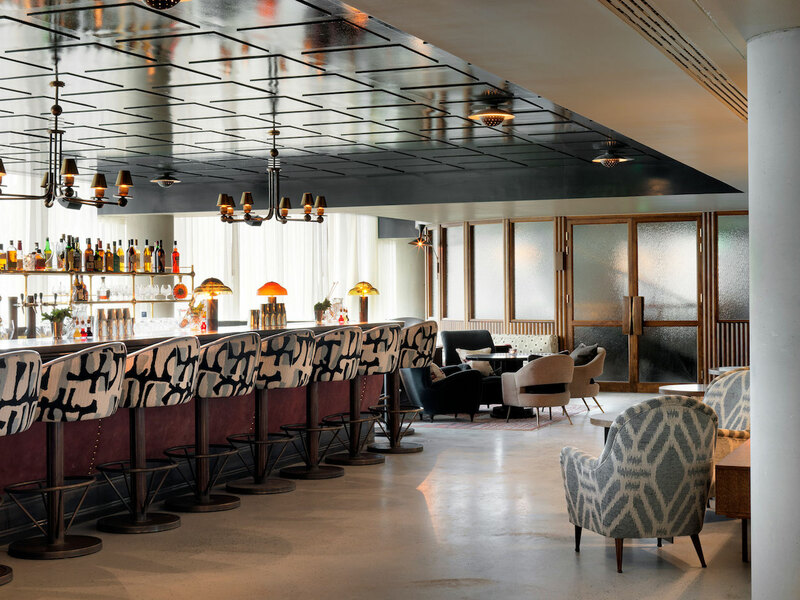 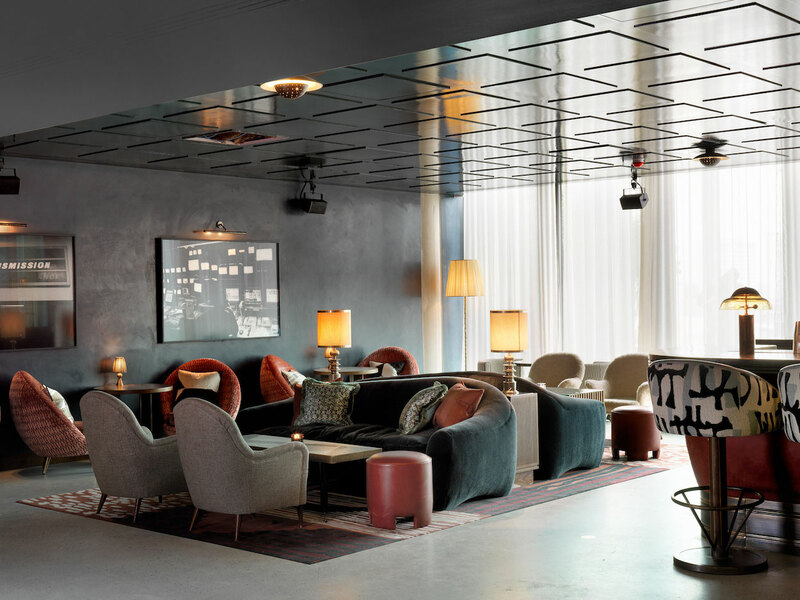 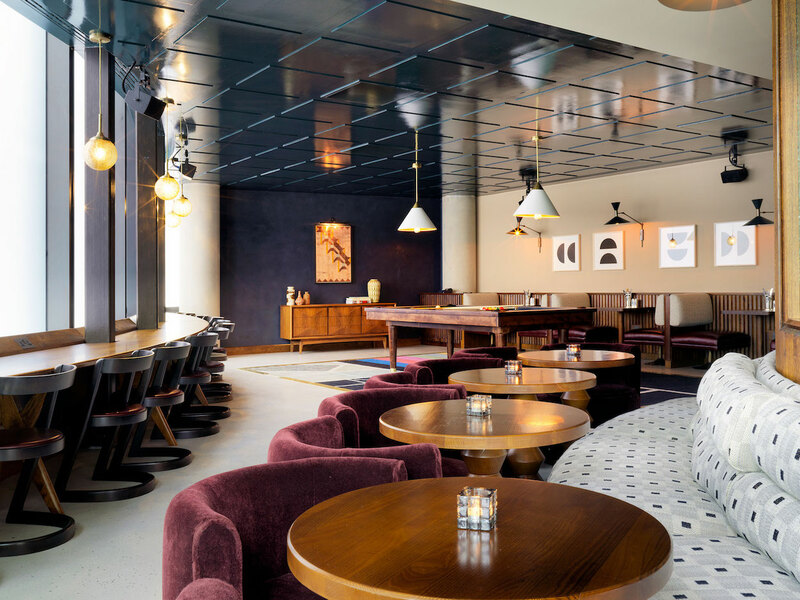 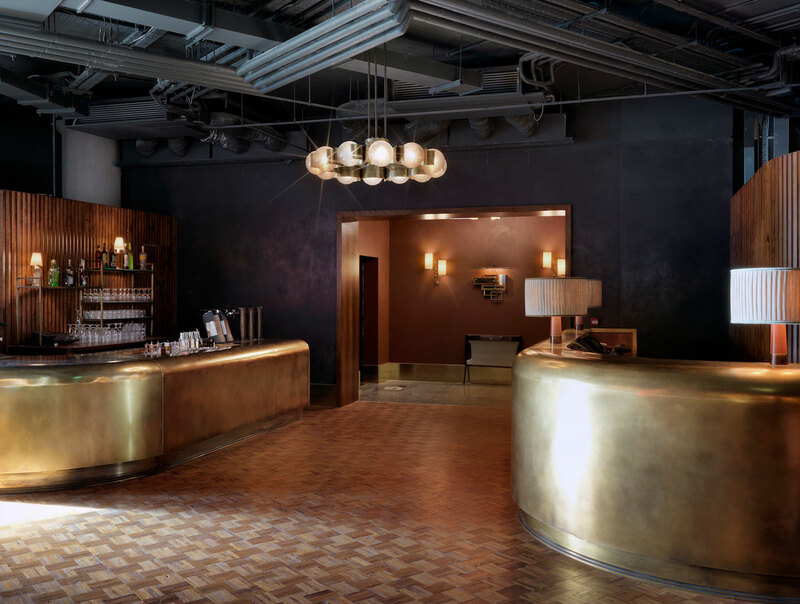 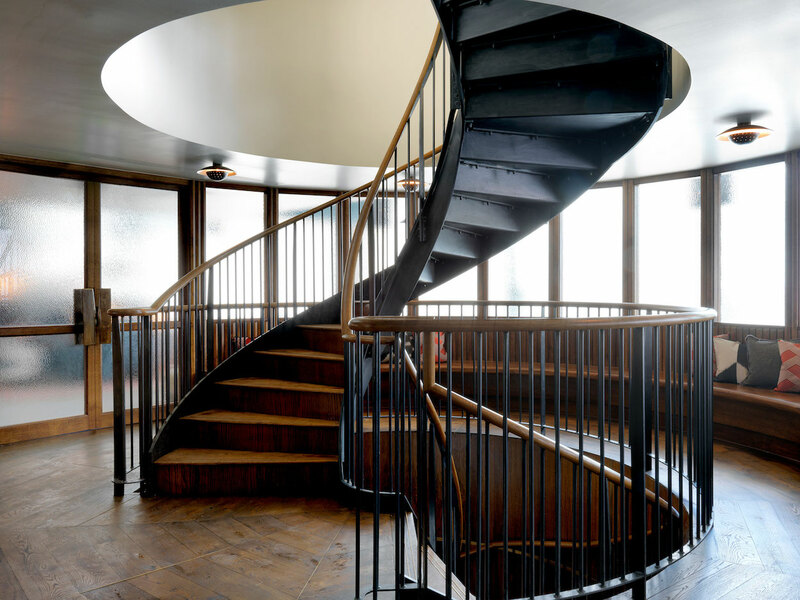 On offer: Situated in the former BBC headquarters designed by architect Graham Dawbarn, the complex has a 1960s patina that washes over the 45 rooms, two-screen cinema, multiple club lounges, and ground-floor gastropub Allis. 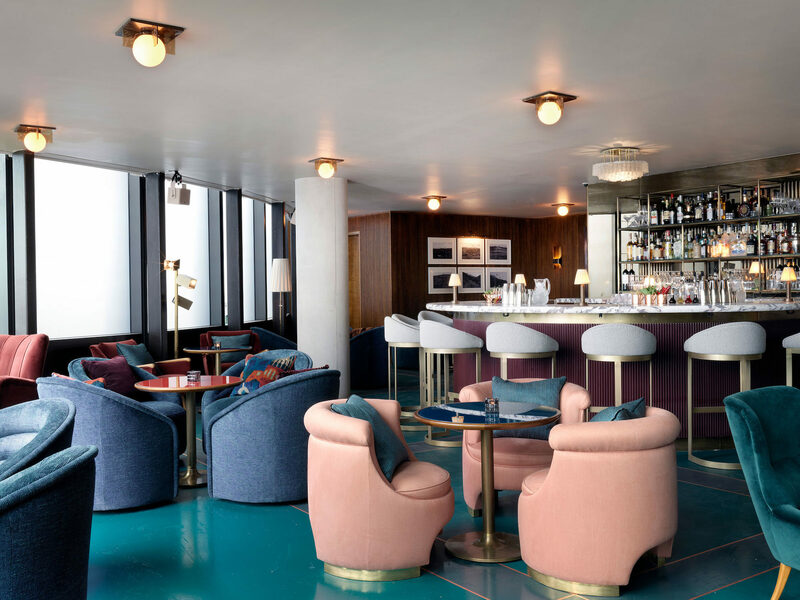 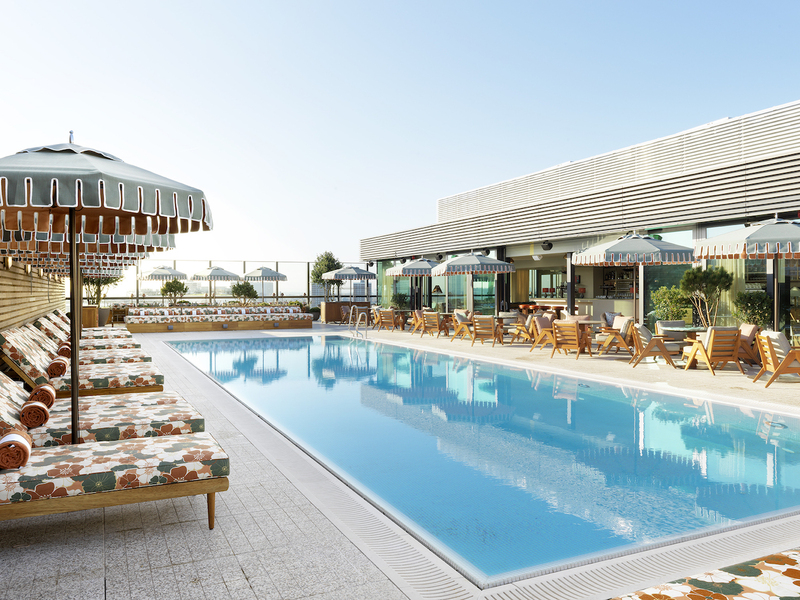 Standout features: The members-only House Canteen restaurant serves plant-based dishes and Eastern classics such as dim sum and Peking duck; the rooftop pool is lined with midcentury-inspired loungers and parasols; and the guest rooms are outfitted with modernist wooden minibars and furniture upholstered with fabrics by Tibor, a longtime collaborator with the BBC.